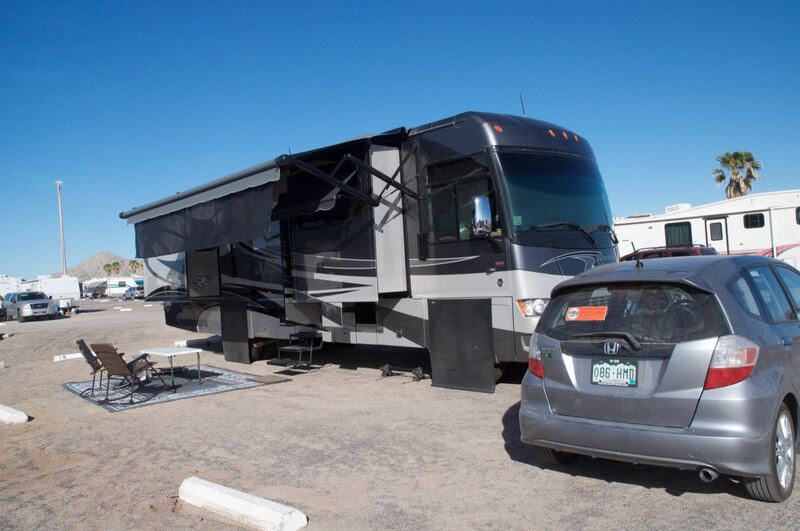 We had talked about taking our RV to Mexico but we didn’t really know where to go, we had concerns about safety, and we don’t speak Spanish. Yet, thought travel in Mexico would be fun and a great adventure. Perhaps we could find a group to travel with? Last October we ran across a promotion for a rally (Rally on the Beach 2016) to Mexico while reading the Escapees newsletter. OK then… lets check it out. 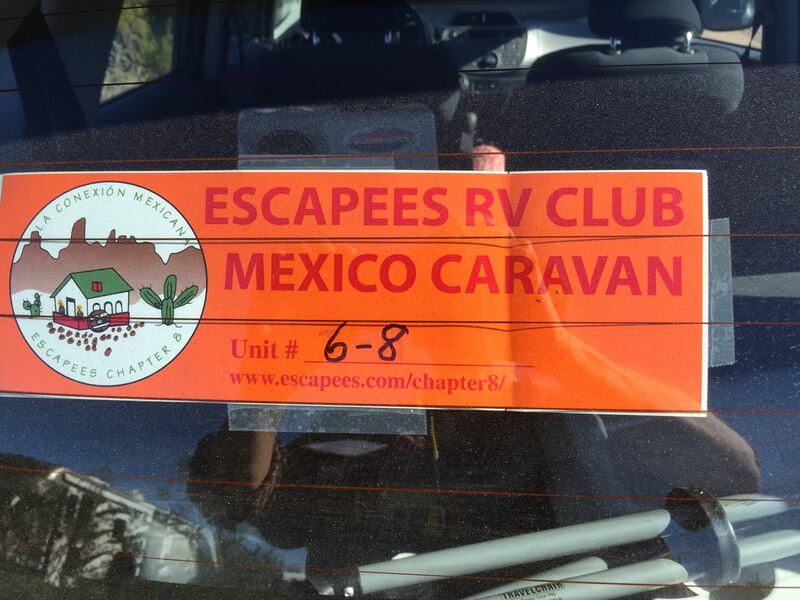 As it turns out there is an Escapees Chapter dedicated to Mexican travel and they were going to be going to Puerto Penasco (Rocky Point) Mexico from February 3-16, 2016. 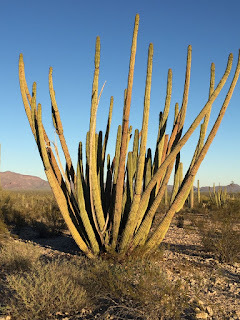 We had actually visited Puerto Penasco by car during one of our stays at Organ Pipes Cactus National Monument. It sounded perfect. Only one problem, by the time we signed up the rally was already sold out. The only thing we could do was put ourselves on the wait list. We also spent $6.00 and joined Mexican Connection Escapees Chapter 8. We started out at number 18 on the wait list and by the end of December we were still at number 13. It didn’t look promising. 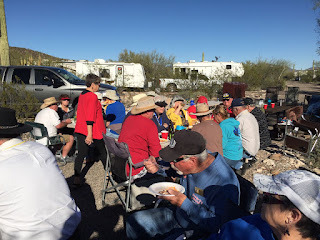 So, we got a reservation at North Ranch the Escapees park in Congress, AZ about 60 miles NE of Phoenix. 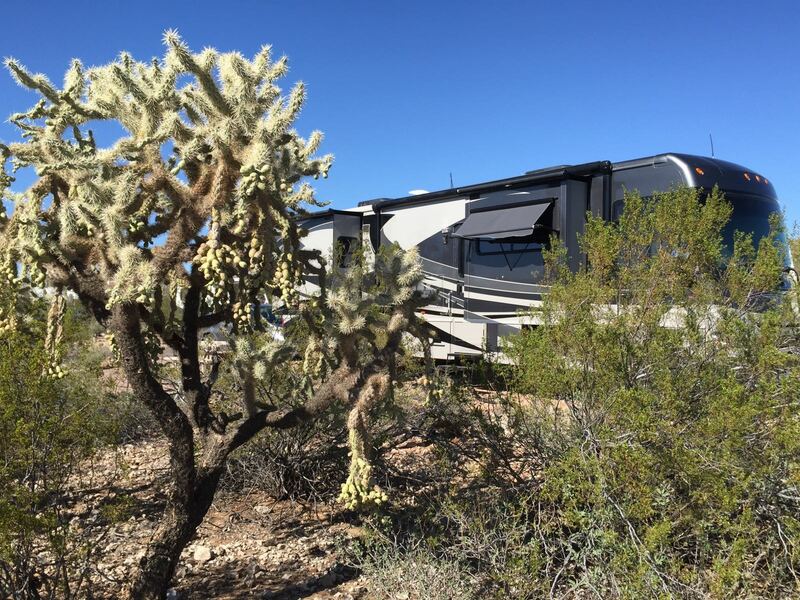 We planed to spend the month of February there visiting friends and enjoying the Arizona desert. Then in January about 2 weeks before we left for Arizona, we got a call from Orene Brown the Wagonmaster for the rally. There had been a cancellation and the others on the waitlist had dropped off. 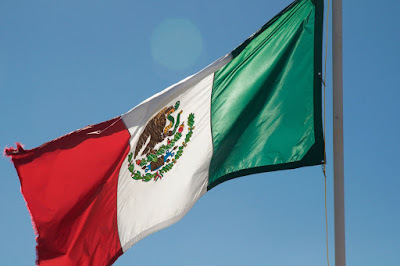 Did we still want to go to Mexico? You bet! 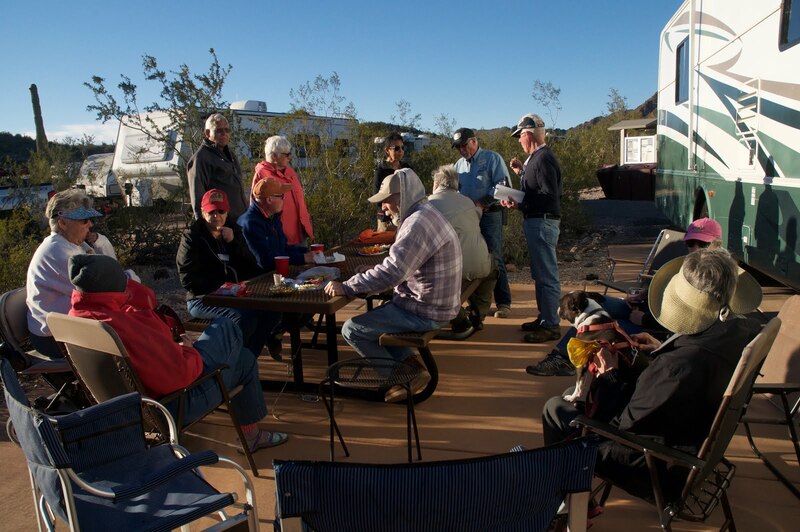 Because of the great monthly rate at North Ranch, we decided to keep our reservation but leave from there on Feb 3 to meet up for the pre-rally in Organ Pipes Catus NM. We would return to North Ranch after our trip. Mexico Here We Come. We have been to Organ Pipes several times and it was a perfect location for the pre-rally. 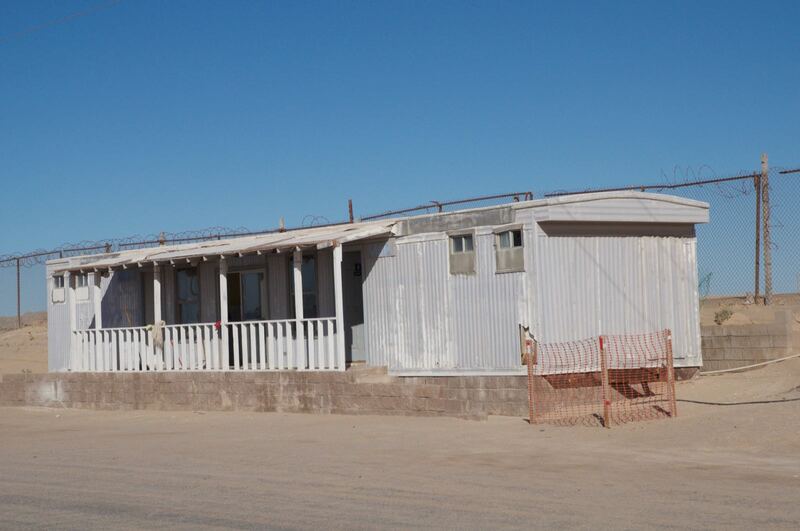 It is just a few miles from the border crossing at Lukeville, AZ. We spent three days there enjoying the park and getting acquainted with our fellow travelers. Our first meeting with our small travel group. It also gave us time to get our FMM cards (tourist visas). 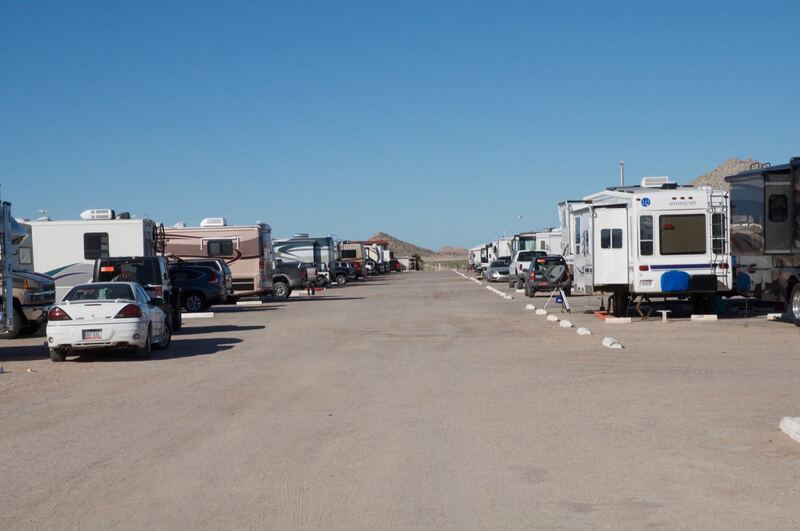 There would be 60 – yes 60 rigs traveling to Puerto Penasco. However, to avoid clogging up the boarder crossing and the road to the coast we broke up into 9 smaller groups each with a group leader and tail gunner. Our group of 9 rigs was lead by Ron and Janet Sorter and our tail gunners were Woody and Sharon Woods. 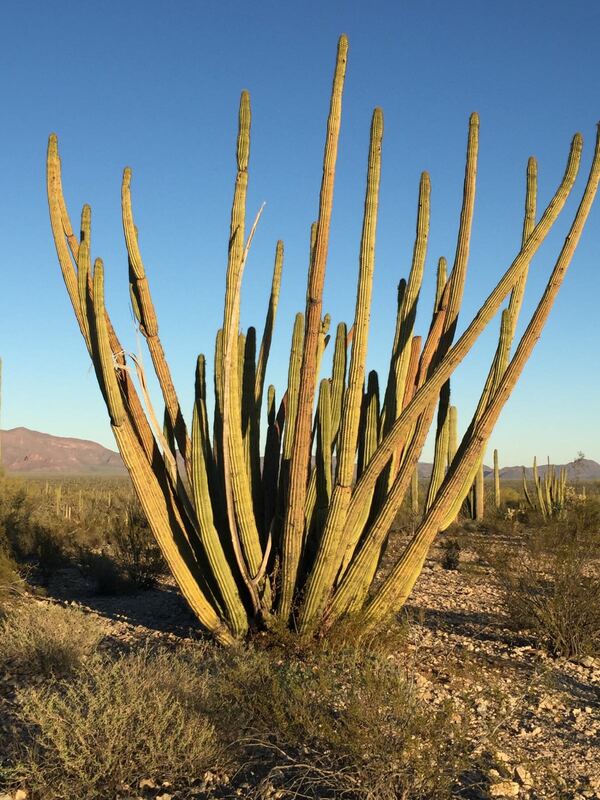 At exactly 10:30 on February 6 we pulled out of Organ Pipes. The border crossing was a breeze and in no time we were headed down Hwy 8 for a 62-mile drive to The Reef RV park at Sandy Beach. 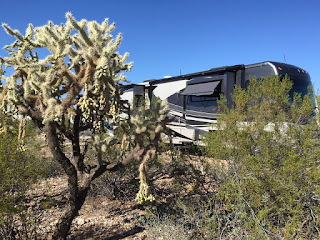 Since we had driven Hwy 8 by car a year earlier we knew it was a good road and had no reservations driving it in our RV. 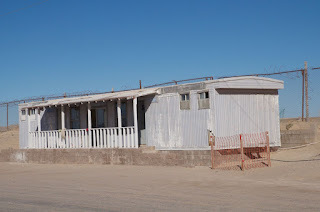 The only thing we had to watch for were the Topes (high speed bumps) in the border town of Sonoyta and in Puerto Penasco. I about 1 ½ hours we were settled into our full hookup site at The Reef. The park also has free WiFi which was recently updated. I found it somewhat inconsistent but more than adequate for email and light web browsing. We also used both Verizon and AT&T. For $2.00 a day Verizon extends your full US service including data to Mexico and AT&T offers free calling and Text with one 1Gig of data. 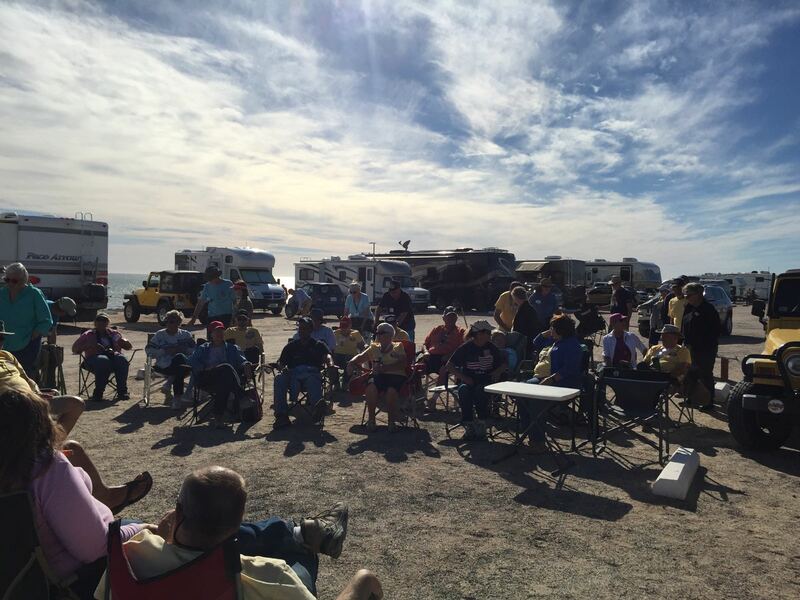 I think close to 40 of the rigs in our group got beach front sites. Because we were late to the party we ended up 1 row off the beach. Yet, we had great beach access and great ocean views – all good. Even though we had full hookups we decided to not hookup water and just use our freshwater tank and bottled water for drinking. Sissy’s perhaps, but we just didn’t want to take any chances. We took several showers at the campground shower and a couple in the rig. Our 80-gallon tank provided us with more than enough water for our 10-day stay. The campground shower may not have looked like much but the water pressure was great and the water was hot. On our first evening we had a rally meeting at Orene and Larry Brown’s site. Orene gave us some ground rules and reviewed several of the events and tours that would take place over the next 10 days. 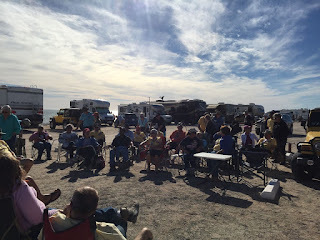 The rally’s put on by the Mexican Connection are all thanks to the hard work of chapter volunteers – there was no professional tour operator. That keeps the price very reasonable and with everyone pitching in creates a nice sense of community. The day ended with a hosted dinner at Wrecked at the Reef Bar and Grille which was about 200 yards from our site. All-in-all a very good first day. Next up…Day 2 and beyond.